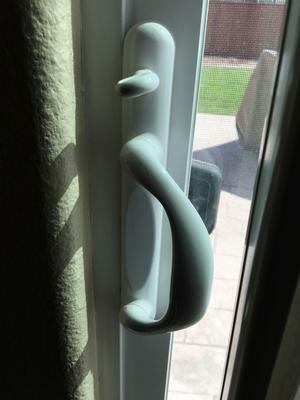 I am looking for a handle for my sliding glass door and in my search, I came across your website. The lever in the handle that moves the lock is broken and I can't seem to find an exact match to replace it or a new lock set that will fit it, otherwise I will need to replace the door as a last ditch effort to address this situation. I have attached pictures for your review to see if you can help me. I am in Northern CA so if you have something that will work, it will have to be mailed to me. Kindly take a look and give me your expert opinion on how best to deal with this situation. I can get the double hasp patio door mortise locks that your door uses. Usually, a spring breaks inside the lock and the lever in the handle just moves up and down without engaging the lock. I uploaded a picture of my lock. Will need to check dimensions to make absolutely sure it is correct. Thanks for the great pictures by the way ! 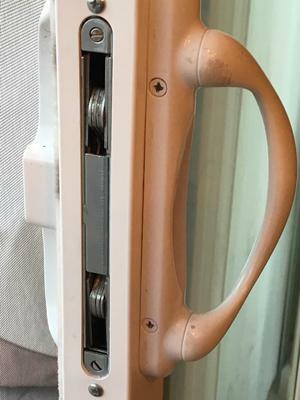 My handle broke and i went to the local HD, it is a pella sliding door, i matched up the mounting screws.... however i was not thinking of the mortise lock so ..... it must be slightly lower than the previous cause my mounting holes are not lining up? Is this normal? Do I just drill out fresh holes? Do they make a plate to cover old holes? Hello, It seems I have the same problem and the same patio door latch that Kwasi has. Where can I purchase the handles and the latching mechanism? My door was stuck in the latch position and I had to break the turning knob off and drill a hole to gain access to a lever that allowed me to release the latch, if that makes sense. PLEASE help.